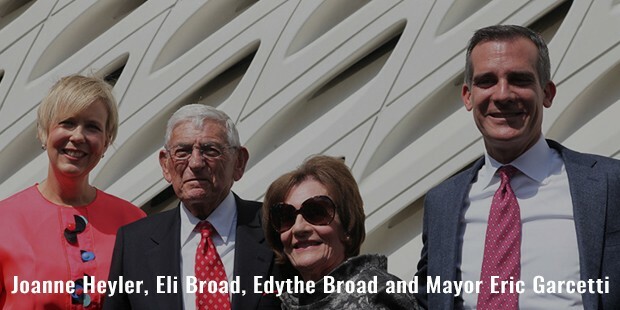 Eli Broad is an American entrepreneur and a philanthropist. He is ranked as the 185th wealthiest person in the world by Forbes in 2015. 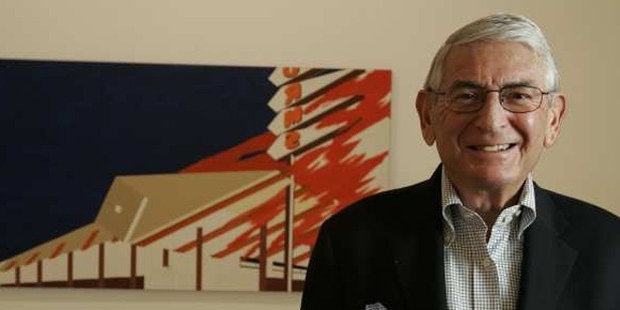 He is the co-founder of Broad and Kaufman and the proprietor of SunAmerica. Broad was born on 6 June 1933 in New York. In 1954, Broad majored from Michigan University in accounting and a minor in economics. He took up various odd jobs while he was studying in college. He has gone door-to-door selling women shoes and garbage disposals, and also worked as a drill press operator. Broad worked as an accountant for two years and also taught in night classes at the Detroit Institute of Technology in 1956. He was offered a place by his wife’s cousin Donald Kaufman to start his accounting firm in return of handling his accounting books at his real estate firm. Broad along with Kaufman decided to get into real estate. Broad and Kaufman divided the responsibilities’ of acquiring land and handling the design respectively. Within a week of constructing these houses, seventeen were sold. By the end of two years, the duo had built 600 houses in the Detroit suburbs. 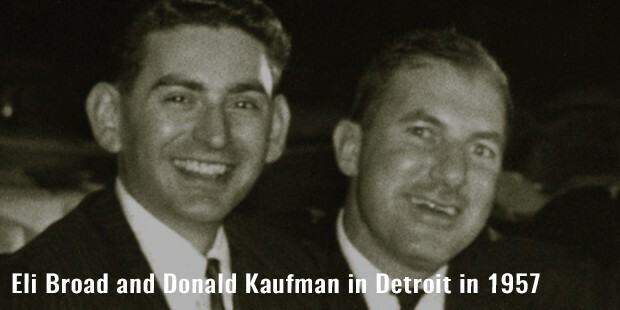 Eventually Kaufman retired from Kaufman Broad Home Corporation in 1963. Broad then moved the company to Los Angeles in 1969. 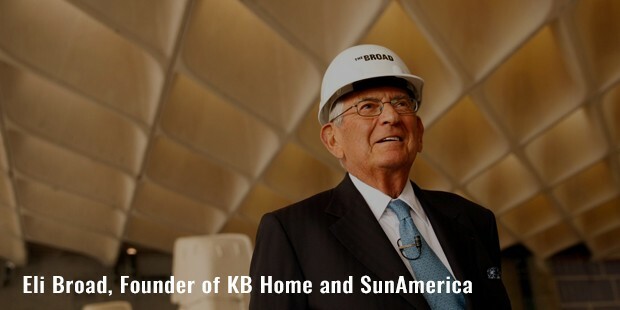 K B Home was the first homebuilder listed on the New York Stock Exchange. In 1974, Broad stepped down as CEO. In 1971 Broad acquired Sun Life Insurance Company of America and transformed it into SunAmerica, thus making it a retirement savings powerhouse. He sold SunAmerica to American International Group in 1999, but continued as the company’s CEO until 2000. Later in 2000 he decided to actively take up philanthropic activities. 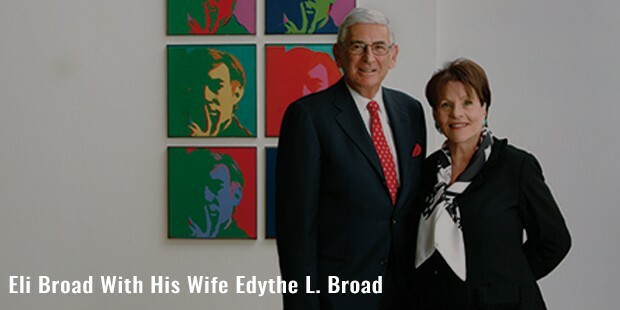 Towards this end, Broad along with his wife founded The Broad Foundation in 2000. This foundation invests in scientific and medical research for the betterment of the living standards of the people. 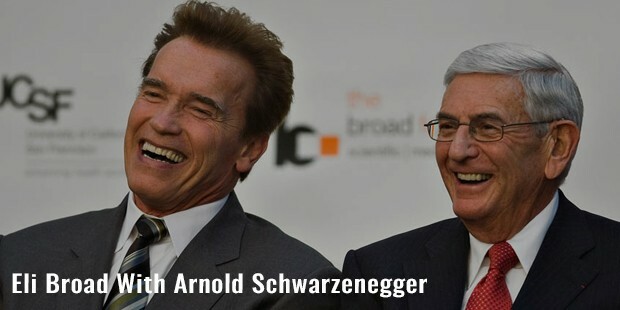 Broad was appointed as a Regent of the Smithsonian Institution by the U.S Congressman and the President from 2004 to 2009. Broad became the youngest Michigan resident to attain the label of a Certified Public Accountant in 2010. Broad has authored The art of Being Unreasonable: Lessons in Unconventional Thinking in 2012 which eventually became New York Times bestsellers. Broad and his wife established The Broad Foundations for those who were good in education, science and arts. In 2010, the Broads participated in The Giving Pledge, a commitment to give at least half their property in charity. 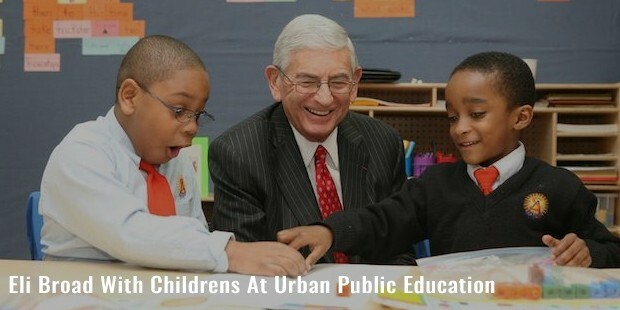 The Broad Foundation awards an annual $1 million Broad Prize for Urban Education. Broad donated $250,000 for the support of gun control measures. Shortly after graduating from Michigan State University, Broad married Edythe Lawson in 1954. Broad received the Carnegie Medal of Philanthropy in 2007. 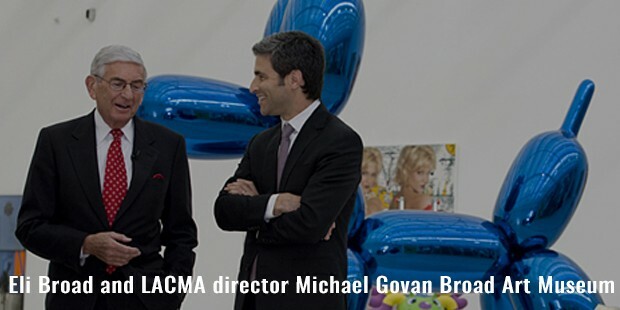 Broad serves on the board of the Future Generation Art Prize. In 1994, he was named Chevalier in the National Order of the Legion of Honor by the Republic of France.